They chanted it loud and proud. 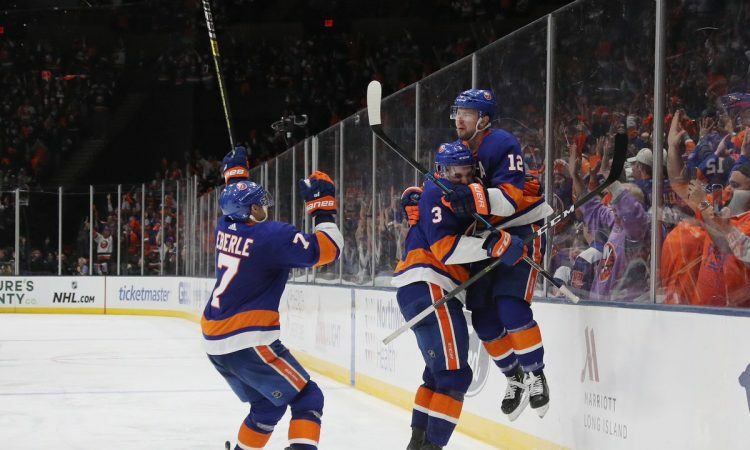 That was the chorus that rung out from the Islanders faithful that jampacked an electric Nassau Coliseum last night following Bailey’s game-winner at 4:39 of overtime that gave the Isles a 1-0 series lead over the Pittsburgh Penguins. It was a fantastic moment for the longest-tenured Islander. Bailey, 29, had been through each of the past three Islanders playoffs runs this decade (2013, 2015, 2016) and experienced the small number of ups and a large number of downs. Even this season, Bailey still — and it seems like he always will — felt the wrath and criticism from a certain portion of the fanbase. 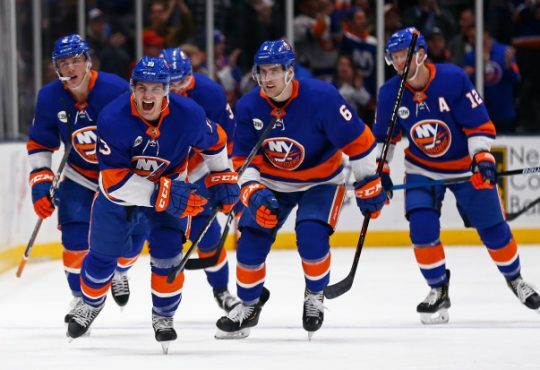 All that, despite Bailey recording 40-plus assists for a third straight season; despite posting his third consecutive season of 55-plus points; despite scoring some of the biggest goals of the Isles season late in regulation. Last night’s game was back-and-forth, up and down, and everything else you’d expect in the playoffs. Bailey getting the winner fit the bill on what was an outstanding hockey game. The crazy part of Bailey eventually scoring: it wasn’t his only chance at being the hero. After the Islanders gave up the 3-2 lead with 1:29 left in regulation, there was a frantic pace that set in for both teams. And then with just under ten seconds to go — with the Penguins changing — Bailey and Cal Clutterbuck rushed past the blue line for an odd-man rush. Bailey had free space and Clutterbuck fed him on his tape. With the game on his stick, Bailey chipped the puck past Pens goalie Matt Murray that clanked off the left post. A collective sigh went up from the Coliseum crowd with many fans shaking their heads in disbelief as the buzzer sounded for overtime. If the Isles had lost, Bailey would have been labeled the GOAT — not the good one either. He also wouldn’t have been the only seeing that golden opportunity in his sleep; instead, try 14,000 fans inside the building and an entire fan base. But luckily, that was not the case. After the teams traded chances in the first four minutes of overtime, once again the Isles caught the Penguins making a bad change. This time around it was Mathew Barzal and Jordan Eberle who rushed in 2 on 1. Barzal — with his trademark patience — found his way to the slot with a chance to win the game. Barzal made a slick move and backhanded a shot off the post before being crosschecked by Pens d-man Kris Letang. Out of nowhere, a tired Bailey — at the end of a long shift — slipped past the Penguins d, took the rebound off the post and slammed it into an empty cage to give the Isles the victory. Bailey’s winner was his fifth career postseason goal and his first ever playoff OT winner. What a way for the Isles to kick off what will hopefully be a long playoff run. It may be one with more of what we saw from the 11-year veteran last night. Around Isles country this morning — and probably around the league — redemption was spelled B.A.I.L.E.Y. -How about Tom Kuhnhackl? I noted it after the game last night that he was sensational. From the minute the puck was dropped — and even when his unbelievable shot was called back for offside just a few minutes into the contest — Kuhnhackl was noticeable on every shift. He almost won the game in OT but the puck never crossed the goal line. That still doesn’t take away from the fact that Kuhnhackl played like a man on fire and could really be beneficial if the Isles go on a run. 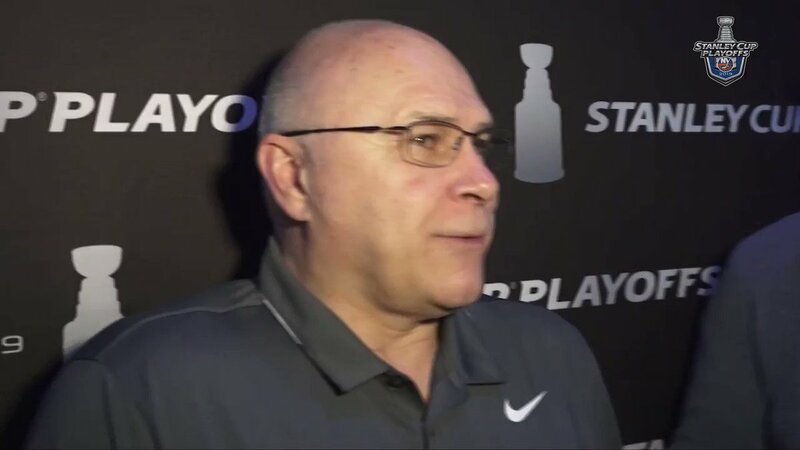 Oh, and Trotz’ quote after the game, “He was dancing”, that’ll probably find its way on a t-shirt shortly. -Robin Lehner was a star. Facing such a high-octane attack like Pittsburgh, the Isles are going to need Lehner to be on top of his game. That was exactly the case last night as he made 41 saves. Even when the Pens were flexing its muscles in front of him, Lehner stood tall and made more than a few ten-bell stops. The 27-year-old didn’t look fazed at all in his first career playoff start. -Mathew Barzal shines when he’s needed the most. The highlight of him setting up Bailey for the game-winner will be engrained in the minds of Isles fans for a long time. Barzal, also in his first ever postseason game, looked confident despite not having much room to work most of the night. But as he did time and time again in the regular season, the 21-year old put the team on his back and helped lead them to victory. -The power play was actually good. I’m sure there are many fans still scratching their head at how the Islanders actually looked competent on the power play for literally the first time all year. Both power play opportunities the Isles were given, they looked confident and had a shooter’s mentality. Brock Nelson’s goal was a thing of beauty; Hopefully, this can be the formula that can propel them forward. -Devon Toews was exceptional. Talk about a kid who played like he’s been in the league for five years, but was actually making his debut in the postseason. Toews was a tank last night with and without the puck. He wasn’t intimidated by the big guns the Penguins possessed and looked like he belonged. -Scott Mayfield is the new Travis Hamonic. Hamonic back in the 2013 matchup with the Pens drove Malkin up the wall and showed he was not going to let up at all. Mayfield re-enacted Hamonic’s antics last night, getting under Malkin’s skin and not giving the future Hall of Famer any leeway. -Trotz challenges the crowd. The Coliseum was a zoo last night — the mantra it’s received anytime the Isles are in the postseason. But kudos to Trotz for wanting even more from the frenzied crowd after he acknowledged that they let up just a bit in the second. He wants even more from the lunatics that infest the Coliseum for tomorrow night. I’m sure that challenge will be welcomely accepted.